BNK48 – one of the international sister groups of Japan’s idol girl group AKB48 formed on the concept of “idols you can meet” – can finally be said to have reached the peak of popularity after The Girl in the Spider’s Web a successful first year in Thailand’s music industry. Today sees the general release of “Girls Don’t Cry”, a documentary by Nawapol “Ter” Thamrongrattanarit that tells the in-depth stories of the girl group and was well received by those Mary Poppins Returns fortunate enough to attend yesterday’s premiere at Paragon Cineplex. 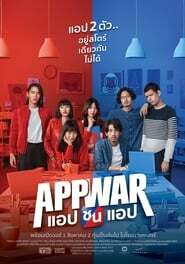 In fact, two of the girls have already embarked on acting careers, with Patchanan “Orn” Jiajirachote playing a spy in director Yanyong “Suea” Kuruaungkoul’s romantic comedy “App War” and BNK48’s Romina captain Cherprang Areekul cast in the lead role in an upcoming and as yet untitled teen thriller from Parkpoom Wongpoom alongside “Hormones” alumnus Teeradon “James” Supapunpinyo.